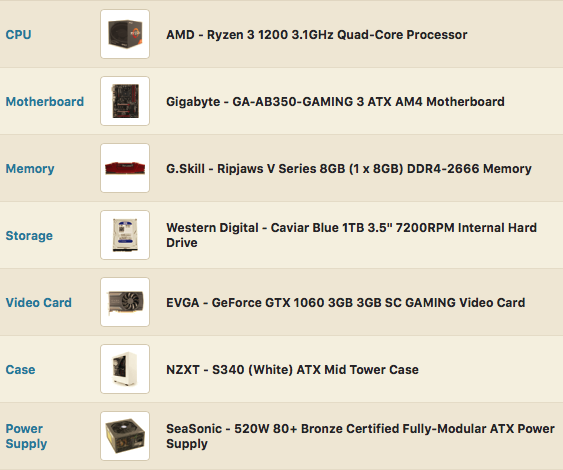 For this article, I assume a common budget of $500-1000 and the main purpose of your intended PC build to be optimal gaming performance. Many online guides and communities promote expensive flashy purchases which offer more for bragging rights than real-world performance results. I don’t think that kind of advice is helpful for average people who are looking to build a good gaming PC. Define your goal and build accordingly. 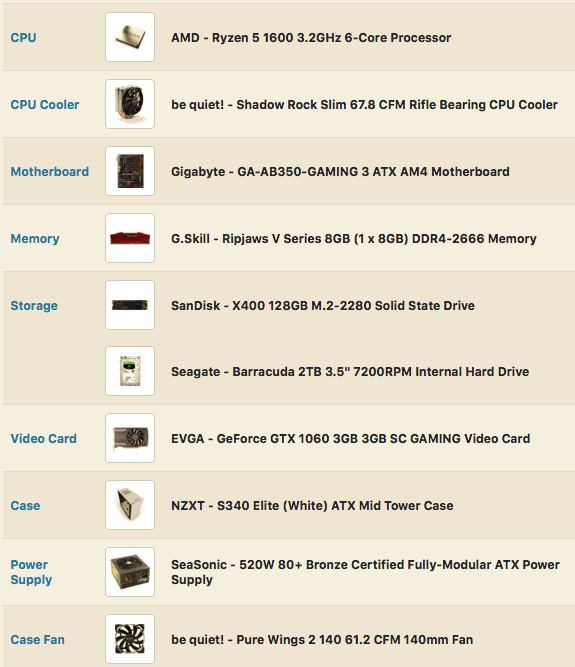 Is it to have a gaming build first and foremost, or a general purpose build which can also game? Maybe it is worth sacrificing a little bit of gaming performance for parts which help other uses of your PC, but if you are mostly using it as a gaming console, maybe not. For example, a solid state drive is great investment to have for everyday computing general, but if you are trying to build a gaming-focused rig on a budget, i recommend waiting on it. 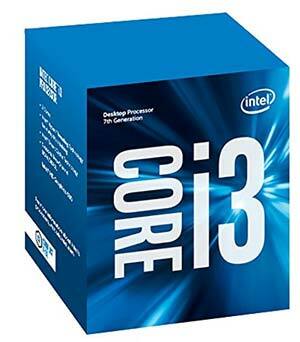 What processor (CPU) should you use? It depends on what frame rate you want to game at. If you want to game at a high frame rate (90-100+ frames per second), you will want a high-end CPU (like Ryzen 5 1600 or an overclockable Intel i5/i7). CPU’s have a significant effect on the frame rate. No matter how good of a video card you have, your frame rate will be limited by a low-end CPU. You will also need to have a monitor which has a high refresh rate in order to get a high frame rate. However, if you’re only looking to game at 60 frames per second (which most monitors support), a high-end CPU will be a waste of money. If you mainly just want higher graphics settings and a higher resolution, the video card matters so much more. At 60 frames, you can do fine with entry-level CPU’s Ryzen 3 1200, Intel i3-8100, and Pentium G4620. All else equal, higher clock speeds matter more than having 6-8 cores for gaming because most games don’t utilize more than 4 cores. What cooling setup should you use? It is true that an aftermarket cooler will reduce temperatures significantly better than a stock cooler. For most people, a $30 aftermarket cooler (like Pure Rock Slim or Hyper 212 Evo) is perfectly fine. Premium $50-70 coolers are good but don’t offer as much bang for buck. With that money, you could have just bought a better CPU. 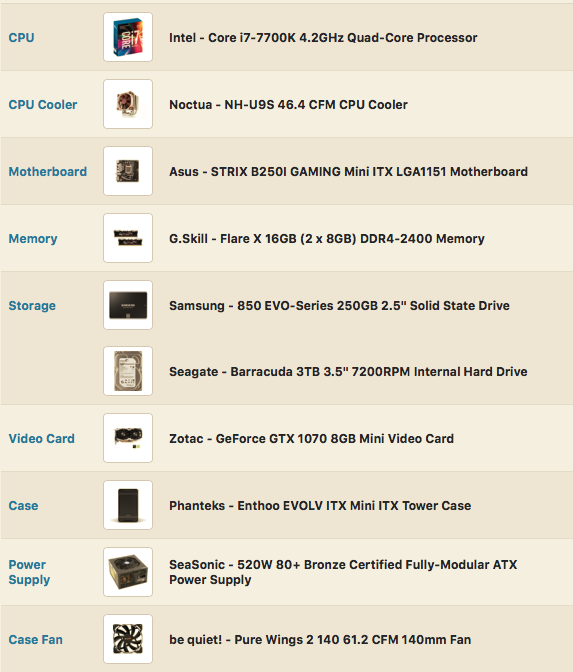 Liquid cooling is for high-end setups which already have invested well into the other parts. It does improve performance, but at a cost of $75-150, it doesn’t give you much bang for your buck. Having 2-3 case fans (1-2 intake and 1 exhaust) can promote good airflow, but beyond that has no benefit beyond a margin or error. Aftermarket case fans can reduce noise, though. $10 case fans (like Be Quiet Pure Wings 2) with good reviews are fine, but $20 is excessive to spend on a fan, relative to the other parts in a mid-range PC budget. What video card (GPU) should you use? 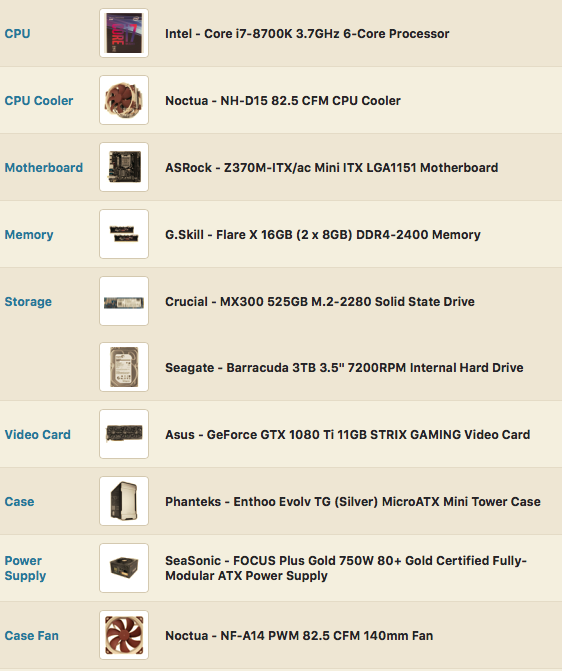 As I write this, the video card market is inflated due to currency miners and most of AMD’s cards have hiked in price. The assumption is modern big-budget titles. GTX 1050 Ti $150. Like a PS4 Pro. 1080p, consistent 60 frames on better settings. GTX 1060 (3GB) $200. 1080p, 60-90 frames. 1440p is possible, at 30-45 frames. The 6 GB version is also good, but it is pricy and only slightly better in performance. 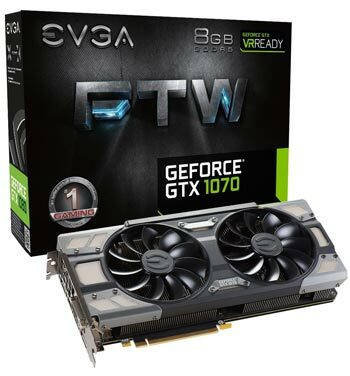 GTX 1070 $400. Can handle 1080p gaming at very high 100-120+ frames. Can handle 1440p gaming at ~60 frames. Be balanced when choosing non-upgradeable parts. A $30 case may be a bulky eyesore with sharp edges and few features. You don’t need a $100 case, but for just $20 more, at $50, there are plenty of cases that you won’t regret buying down the road. With a power supply, I’d caution against buying the cheapest one available as that is the part you don’t want anything to go wrong with. $45-60 is generally the worry-free range. Additional features like semi-modularity and a fan that doesn’t make a ton of noise will be appreciated down the road. A solid state drive (SSD) is good for a general speed boost in computer usage, a second 8 GB stick of RAM can help with professional applications and aftermarket case fans can help reduce the noise of the build, but none of these things will meaningfully improve game performance. Buy a good CPU and a good GPU first before you worry about these other things. You can always add faster storage, more RAM and better fans later on, but a poor CPU or GPU choice will come to haunt you. These are basic examples of builds that can be made. Take these lists as a starting point to stimulate thought about what kind of build you want to make rather than gospel. Which is the best Digital Audio Workstation (DAW)?